It's come time for another blog post to be submitted from my iPhone instead of my laptop. What can I say, my back says my MacBook Pro is a great machine but not exactly the lightest thing to be carrying around constantly. I think most of the time it's just fine, but it's nice to just carry an iPhone sometimes. 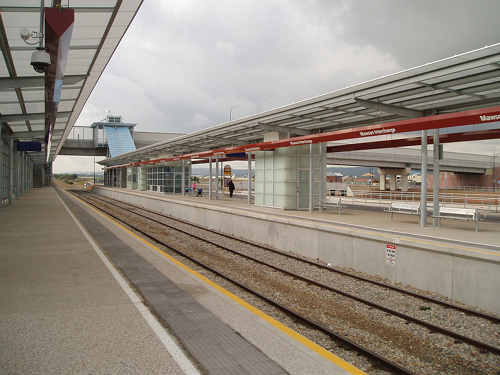 As I sit here at the Mawson Interchange train station whatsit I can see from the LED display that the train is arriving in 4 minutes. Problem is, that's what it said 5 minutes ago. I'm not one to judge the accuracy of public transport message boards, but I'm judging this one to be inaccurate. Either that or somehow that display exists outside our regular space-time continuum and its some sort of time traveling notice board. One can't help but think that the money used to buy a time traveling public transport notification display could have been put towards actually buying more trains to improve frequency times so such intentionally misleading displays would not be necessary in the first place. ASIDE: Is that how you spell continuum? The iPhone dictionary says so, but it doesn’t look right to me. Not that I’m questioning my almighty iPhone mind! The fact is, given I spent most of my life in Singapore (okay most of my life I can remember, I lived in Sydney and Melbourne before I was five but I certainly don't remember it!) the whole concept of public transport timetables is completely foreign. In Singapore the buses, MRT and LRT systems don't use predetermined times, they go by frequency. 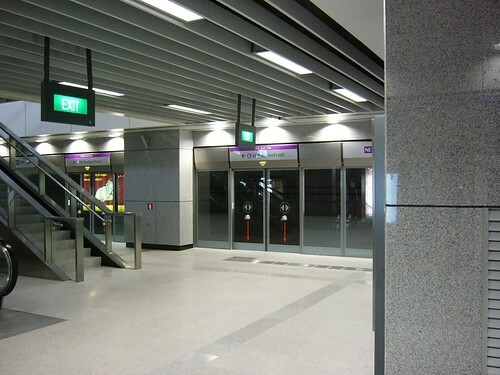 For example, if you stand at the Dhoby Ghaut MRT station you're told on the screens that the trains come every two to three minutes. Of course this system isn't perfect, but the difference is over there they have enough confidence in their fleet sizes to pull off frequency rather than timetable timings. The ironic thing is quite often here (and most of the rest of Australia) timetables aren't even a reliable guide anyway, most trains and buses run late every time anyway. I'm reminded of Captain Jack Sparrow's line in the first Pirates of the Caribbean movie: "The code is more of a guideline than actual rules!" Want to battle climate change, reduce dependency on foreign energy, revitalise neighbourhoods and CBDs, clean up the air, dedicate more space to parkland, reduce stress on commuters, let people keep more of their money, increase aura and pride in communities and make sense… stop building expressways and artery roads, and build better public transport systems! Especially in times of economic uncertainty, public projects like this that keep people employed just make sense!